And I'm back with another film reel! Let's get this party started! Easy A, I'm obsessed with this movie, so I thought I would share! +Aminah Kazi is also madly in love with this movie (it's my fault, she said so herself!) who has a great blog also! 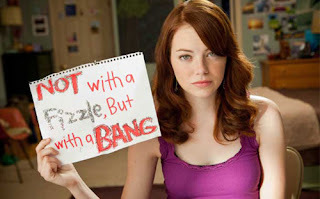 That's all on Easy A today! Y'all come back now!